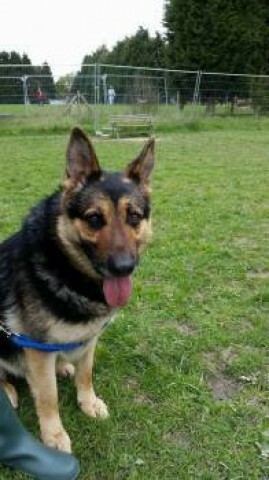 Abel is a big strong handsome boy, he is 6 years old and a very friendly boy. Everyone who meets him falls for his very friendly nature. He is very vocal when around dogs, although was told he is good around girls and puppies still not interacted with them at the kennels, not always a good environment to do this. Abel has come from Romania so no previous history, apart from he ended up in a high kill shelter. He is fully inoculated, neutered and comes with his own passport.